A while back we posted a review of WP Engine. At the time we were pretty excited with the service that they offered. Since then we had a poor customer service experience with them which kind of turned us off. After doing some more research online it looked like there were quite a few people who also received poor service from them as well. Fortunately, we came across another managed WordPress hosting service called Flywheel. We were impressed by their website and based off of a recommendation from a friend we decided to sign up. Boy was that a good idea! Since signing up we've loved everything about Flywheel. The customer service, reliability, and ease of use has been top notch. We immediately fell in love with how easy it was to navigate our account and get things set up. If you're the type of person who isn't sure how to migrate a website you're in luck. 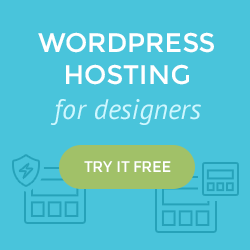 Flywheel will migrate your website from your current hosting provider for free! This is a great option if you have a ton of websites on some shared hosting plan and are ready to make the switch to a better service like Flywheel's. Site Backups – Flywheel automatically backs up your website every day. This is a great feature if you're like us and you don't know what you're doing while you're trying to make changes to your WordPress website and you accidentally break something. With their backups feature you can restore your website back to a backed up version with just the click of a button. Automatic WordPress Updates – Flywheel will automatically update your version of WordPress for you so you never have to worry about it. We've made the mistake of forgetting to update WordPress before and it ended up costing us a lot of time when it got hacked. With their auto update feature you never have to worry about doing it yourself! Easy Collaboration – Flywheel makes it easy to invite people to collaborate on your website right from within their dashboard. This is great if you need someone to help you fix or make changes to your website but you don't want to worry about sharing passwords via email which isn't very secure. Speed – We've saved the best for last. If you have a website you know how important it is for it to load fast, especially if your website earns you money. With Flywheel their hosting service is optimized for WordPress and includes cacheing so you everything loads blazing fast. Free SSL – Flywheel recently started offering free SSL with every website you have hosted with them. A couple benefits of this is it will save you about $30/year if were to buy your own SSL and it's super easy to set up because you can install right from within the Flywheel as opposed to messing with your hosting provider and SSL certificate provider. Now this small list doesn't even come close to doing Flywheel justice considering the many other features that you get with their service. Their service and many of their features are great for designers and web design agencies because they make collaboration and transitioning control to other owners super easy. For that reason alone we highly recommend them if you are a web design freelancer or agency. You're probably thinking “all of that sounds great but what about their pricing?” It starts at $15/month for 1 website which is a little higher than if you were to sign up for something like shared hosting at one of those other hosting companies but we've found it to be well worth it. We would pay $15/month just for their dashboard alone because it's so nice and easy to use. So if you're tired of your current hosting provider and are ready to switch to the last hosting provider you will ever need, why not head over to Flywheel's website and give them a try? Do you have Flywheel Reviews you would like to share?